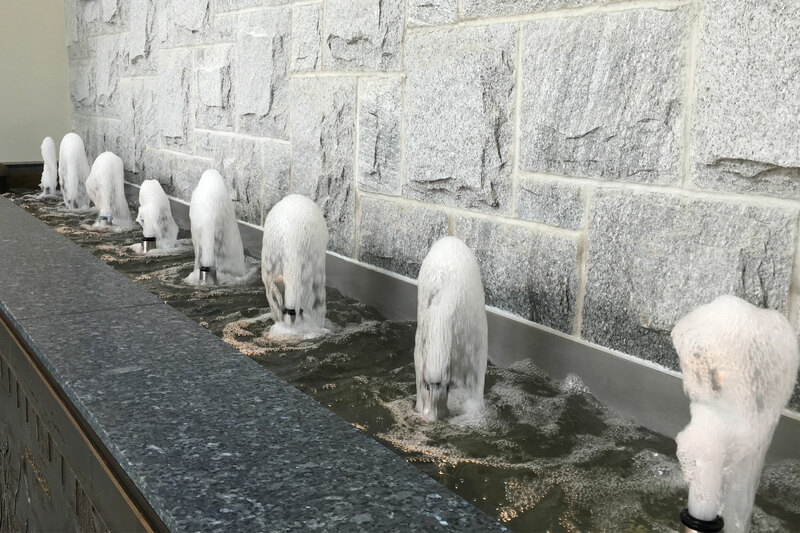 The water feature was designed as a tribute to Boston's historic One Canal. The fountain is a custom fabricated linear basin with stainless steel geyser nozzles. 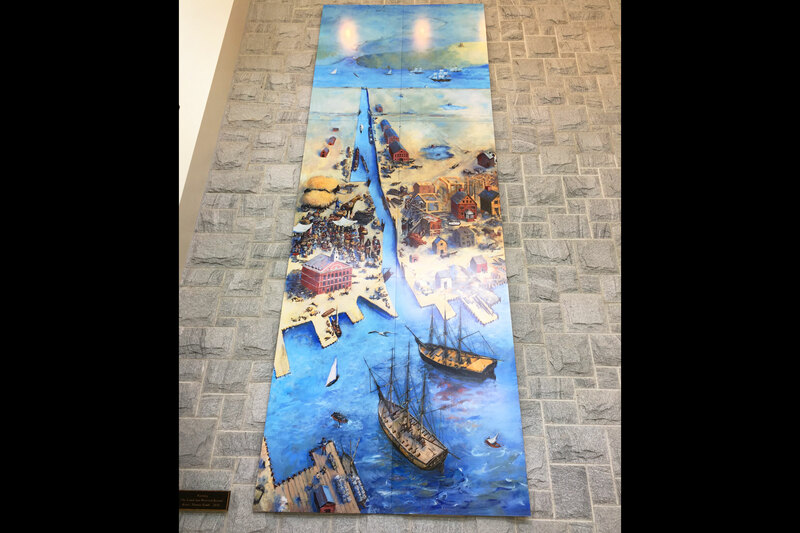 A custom art piece dedicated to the original One Canal was hung above the fountain. 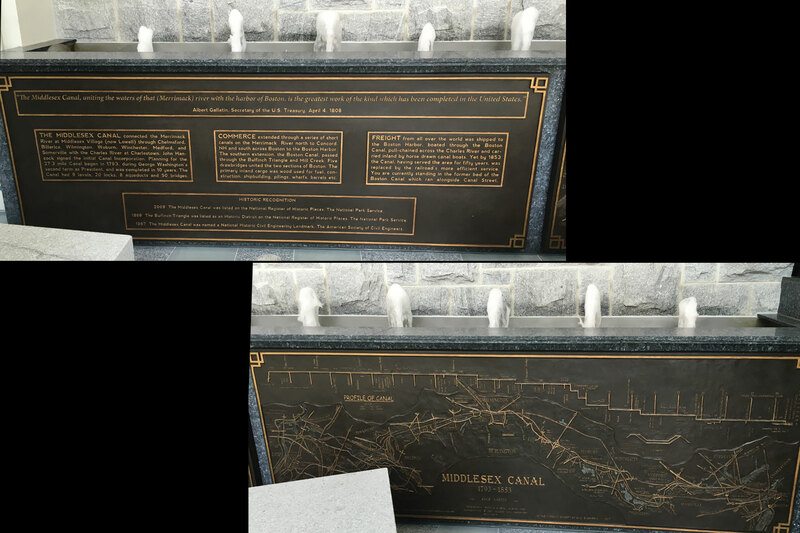 Two plaques sit below the fountain describing the history of the canal. One Canal is located in the Bulfinch Triangle neighborhood, near Boston Harbor, where The Middlesex Canal once bisected the town. The 12-story mixed-use building houses 320 luxury apartments, a 159-space above ground parking garage and 21,000 square feet of retail space. 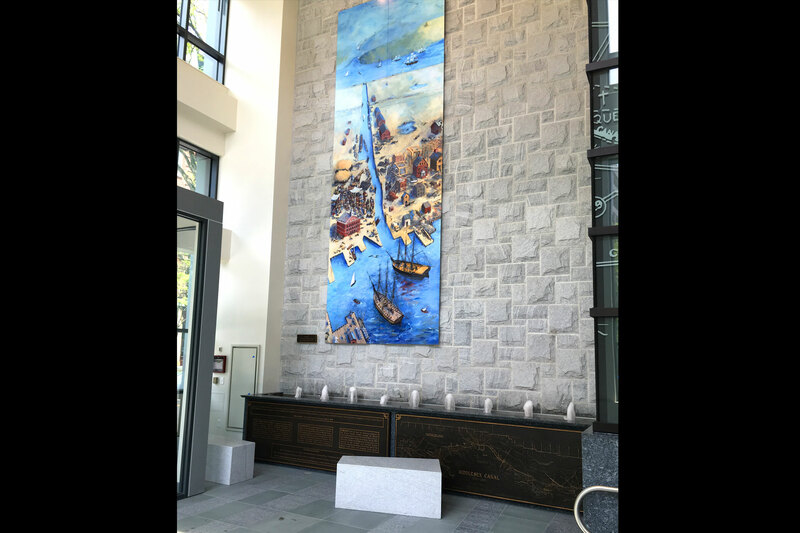 One Canal’s lobby water feature is a tribute to the building’s historic ties to the Harbor. The water feature is a self-contained Linear Basin Kit by Delta Fountains. The 18-foot stainless steel Linear Basin holds nine Foam Jet Nozzles; four Nominal Linear White LED Submersible Lights; a distribution manifold; an automatic water make-up assembly; and submersible pumps. The basin was shipped to the site plumbed and ready to be clad by granite. 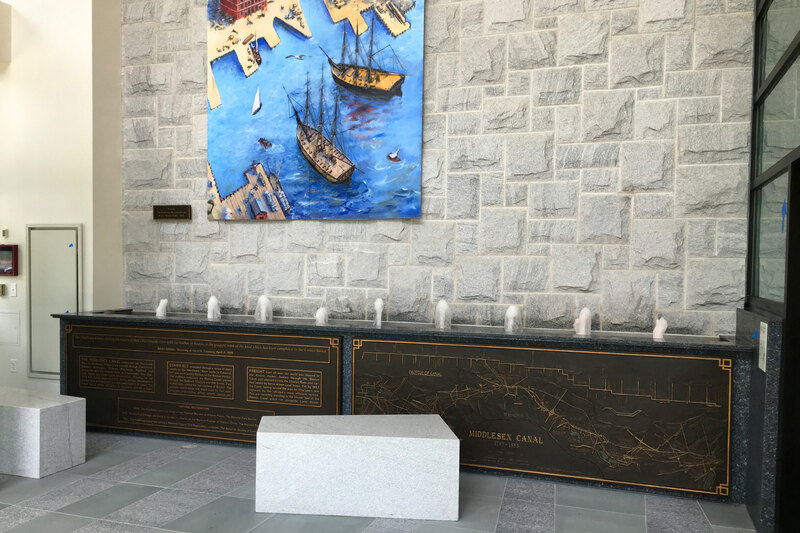 Once the granite was in place, a plaque depicting the site’s historical reference was placed along the outside, and a painting of the original Canal was hung above the feature. Geometric stone benches allow visitors to rest near the feature.